A historic pub at the heart of theatre land, the Bloomsbury Tavern has been proudly serving the Holborn hordes since 1856. One of the most historic pubs in Holborn, The Bloomsbury Tavern was once the ominous final watering hole en route to the hangman’s noose at Marble Arch. Today, the pub provides a rather more welcoming prospect. 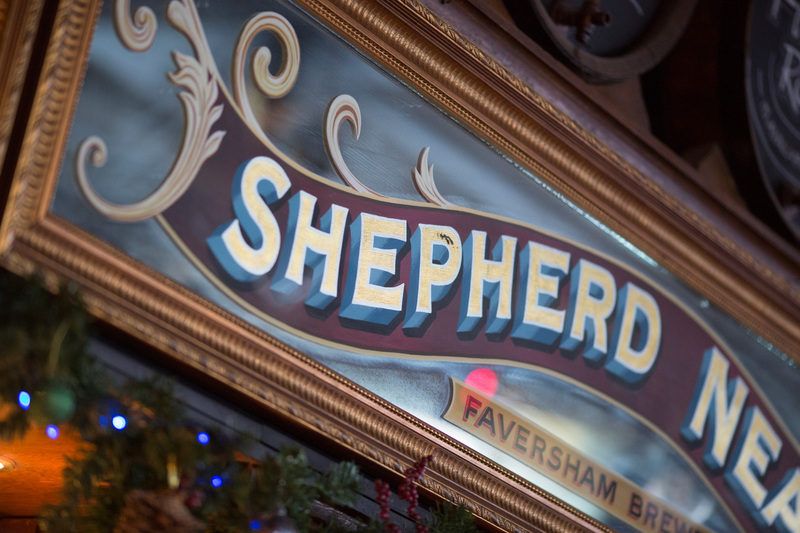 Fine traditional fare flows in abundance, with superb Shepherd Neame ales on tap, an exceptional choice of wines, and fresh, filling food served all day long. Meanwhile, natural light streams through stained glass windows, in stark contrast to that deliciously dark history. It all adds up to the perfect pub in Holborn, ideal for a leisurely lunch, a post-work pint or a weekend stop-off on the tourist trail. With the pub close to Tottenham Court Road and Holborn tube, The Bloomsbury Tavern is both easy to find and wonderfully well connected. It’s set right in the heart of West End theatre land, with the British Museum nearby too - making it a great base from which to explore the capital’s cultural attractions. And of course, with its hangman history, The Bloomsbury Tavern is one of the capital’s cultural attractions itself. Drink, dine and savour the atmosphere of Holborn’s most historic ‘hang-out’. “Hidden gem” - We visited the Bloomsbury for a quick drink and really enjoyed it. The bar is a hidden gem. We tried asahi and a pale ale - the vibe is small which makes the atmosphere lively. I recommend this place the friends. “Exelent place for friendly beers! !” - One of the few places in London where you can drink in the company of really friendly people ...... really enjoyed the service and the beers of the oldest in England !! “Chips and beer” - I've been many times to drink Shepherd Neame's beers (the brewery exists from 1698). The Double Stout is great, a perfect English Stout rated more than 90 on Rate beer, The Christmas Ale is very good, The staff is very friendly, and efficient. On the bench two girls Italian speaking excellent English and also franch and italian and an Australian guy friendly. Friendly pub, small and familiar, but very well appointed.